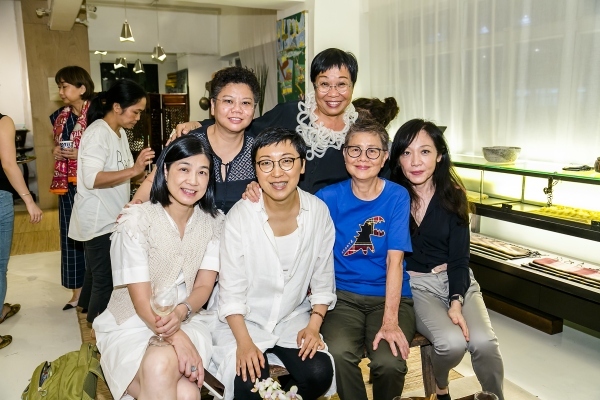 Sin Sin Social Club is an intimate summer event series curated by Sin Sin Man for culture enthusiasts to mingle and celebrate the intriguing season in Hong Kong. Sin Sin Social Club series excitedly kicked off with a lively night of music performed by Paul Yip, a warm and fun gathering with friends to celebrate and share our passion for art, alongside with arts by artists Bob Yudhita Agung, Fauzie As’ad, Gedvile Bunikyte, Jack Penny, Lie Fhung, Tilo Kaiser, Wensen Qi, Wong Tong, Wong Yankwai and Youri Leroux. 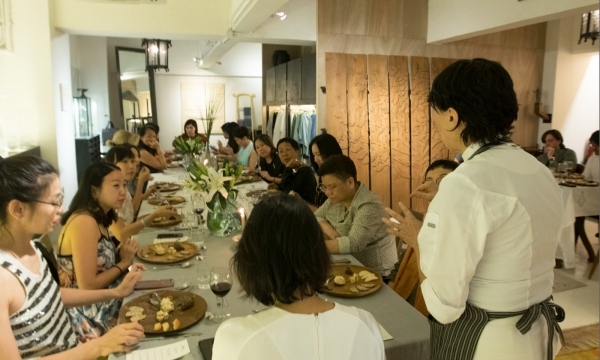 Immersed in the arts of Anusapati, Sin Sin Man, Sun Guangyi, and Zhang Xiaodong, Sin Sin Social Club 2 presents vegan raw food tasting dinner with French chef Tina Barrat. Joined by acclaimed director Angie Chen, our screening of “I’ve Got The Blues” marked the end of this year’s Sin Sin Social Club. It was an intimate evening of discussion and exploration. 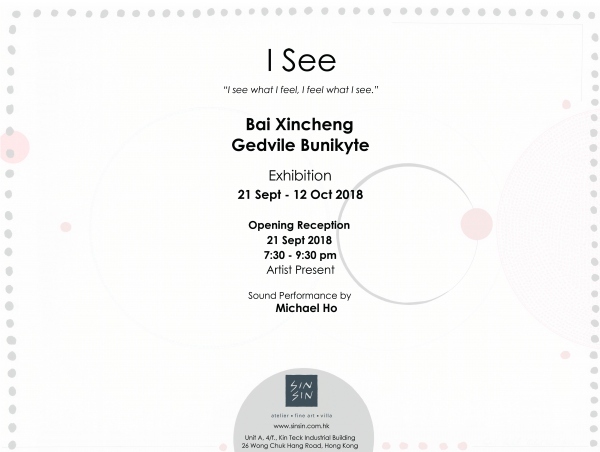 Sin Sin Fine Art is pleased to present ” I See”, a duo-exhibition of Lithuanian artist Gedvile Bunikyte and Chinese artist Bai Xincheng. 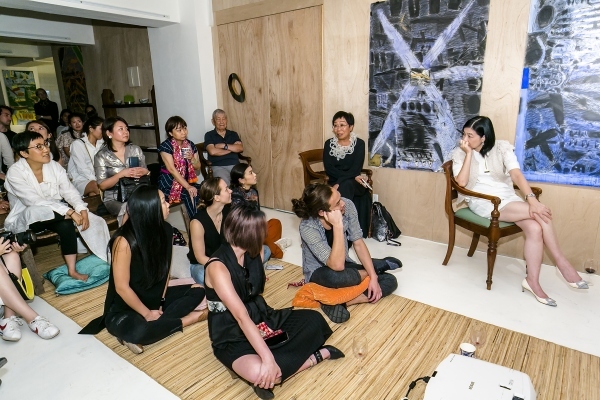 We warmly invite you to come explore the stimulating experiential work of these artists. Sin Sin Fine Art is pleased to present ” Hidden Gaze”, a solo exhibition of Hong Kong artist Wong Tong. We warmly invite you to come explore the hidden gaze of everyday objects through Tong's works. 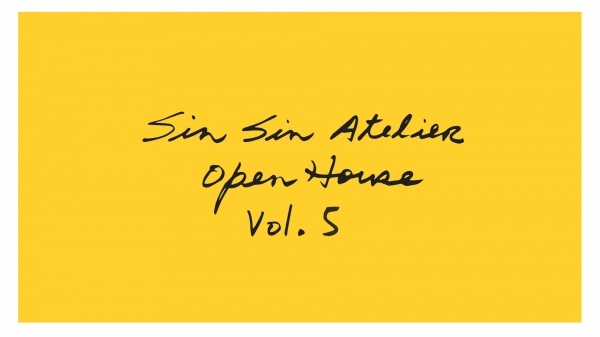 We are pleased to invite you to our Open House Vol. 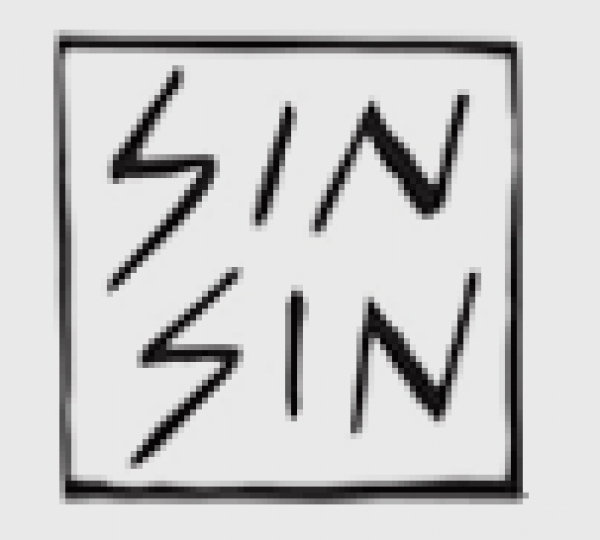 5 – an access to a selected collection of Ready-To-Wear, jewellery and accessories from Sin Sin Man Archive for this season. Join us for a treasure hunt! IKHLAS experience is a band formed under the spirit of nationalism and helping each other. Putu Sutawijaya and Nasirun are involved on this charity event. 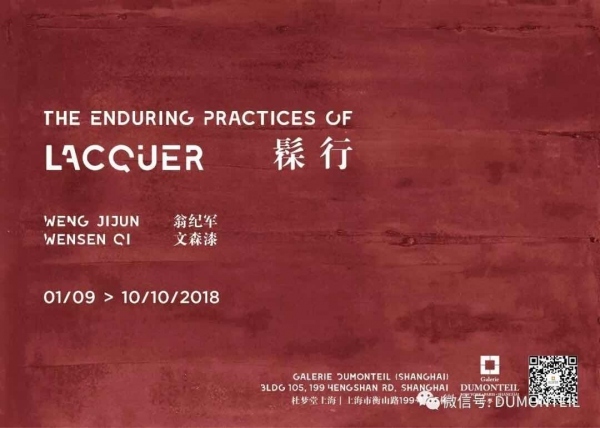 Galerie Dumonteil present the duo exhibition of Wensen Qi and Weng Jijun “The Enduring Practices of Lacquer” on 1 Sep – 10 Oct 2018. 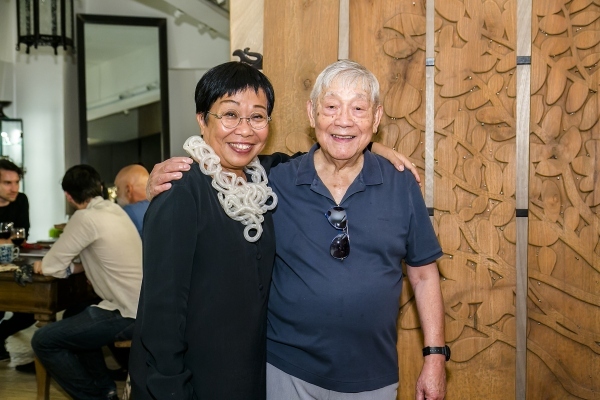 Through Wensen Qi and Weng Jijun, the exhibition explores a new possibility of lacquer. 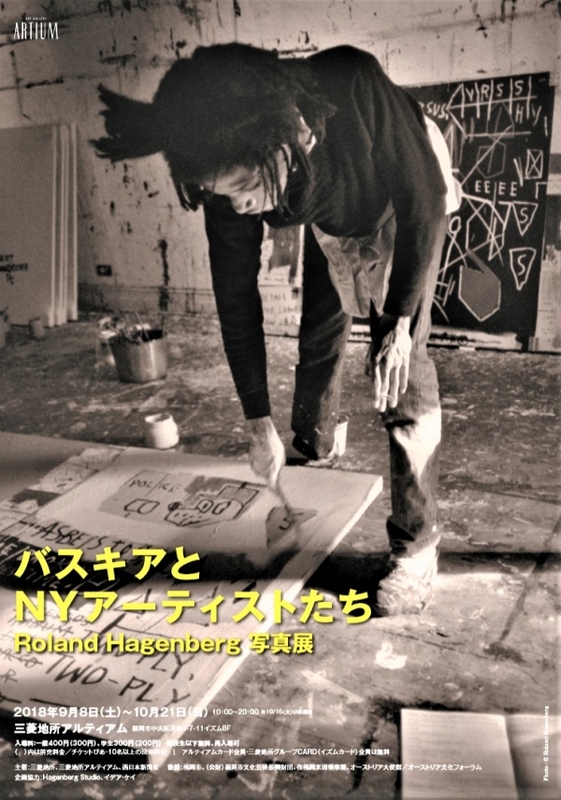 Mitsubishi Estate Artium presents “Basquiat and NY Artists - Photographs by Roland Hagenberg”. The exhibition features 30 large-size photo-portraits of artists like Jean-Michel Basquiat taken by Roland Hagenberg in the 1980s in New York. On view are also some of Hagenberg’s book productions, correspondences with artists, and collection of drawings. 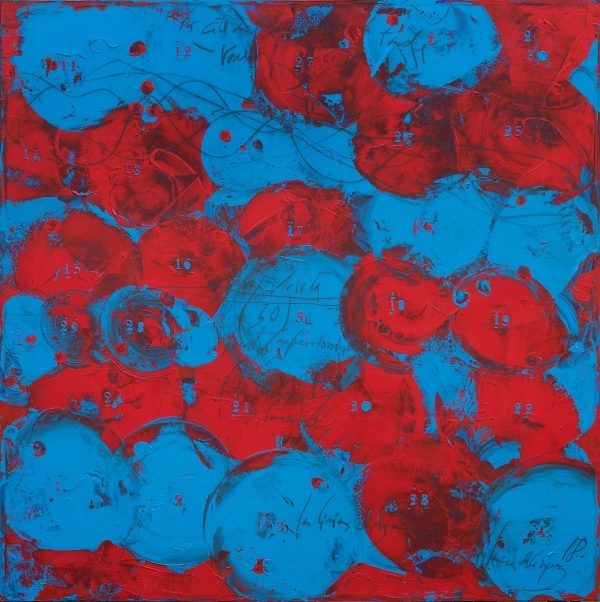 Zhang Xiaodong will be exhibiting in Artron Art Centre, it is his biggest retrospective exhibition in the Shenzhen area. 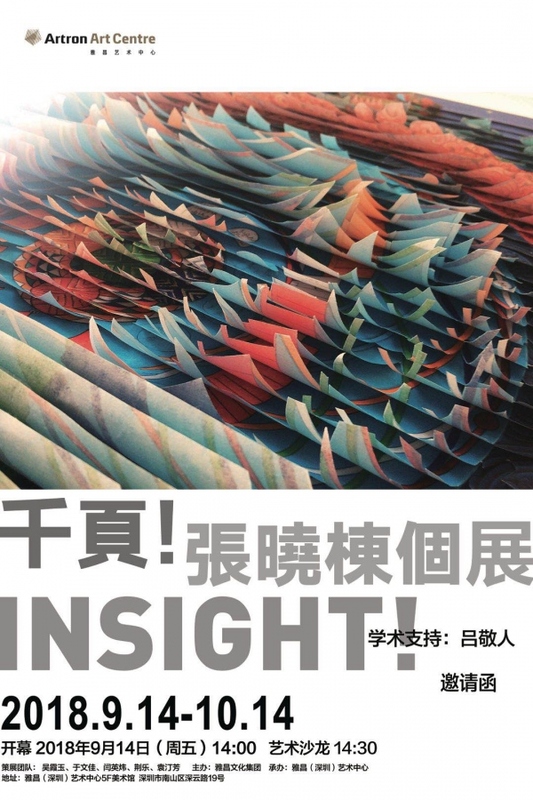 Combined with moving images, installations and literatures, “Insight! 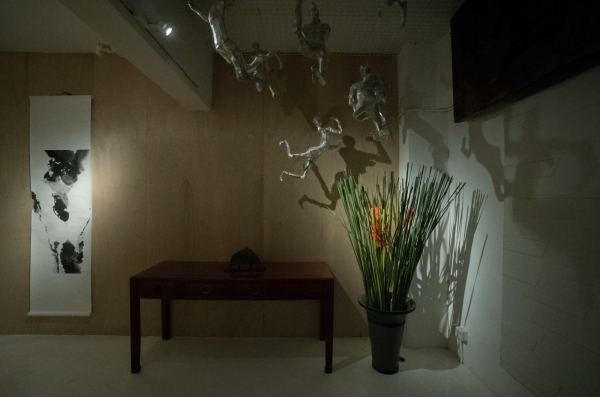 – Zhang Xiaodong” exhibits Xiaodong’s work of art since 2009. 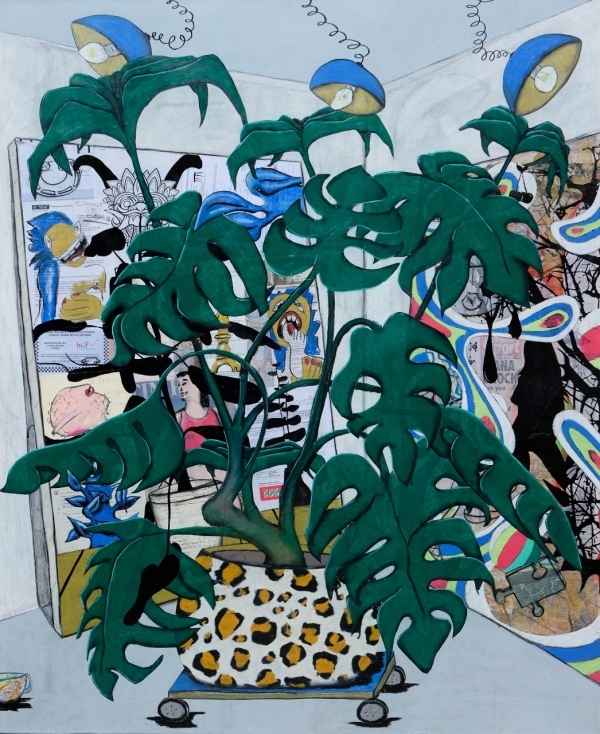 Tilo Kaiser is having a solo booth exhibition with Galerie Nosbaum Reding (Luxembourg) at this year’s Contemporary Istanbul. 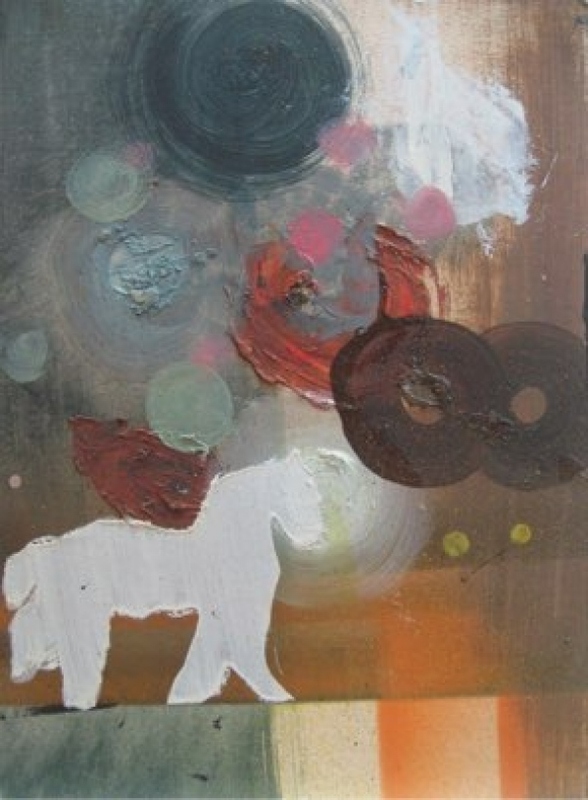 Carlos Garcia will be exhibiting at the annual Beirut Art Fair. The conceptualist poetics of abstractionism supported by the force of the symbol emphasizes the consolidation of Carlos García de la Nuez's work. September Art Project “SAP” #1 2018 was initiated by 12 artists as a response to the current development of the art. 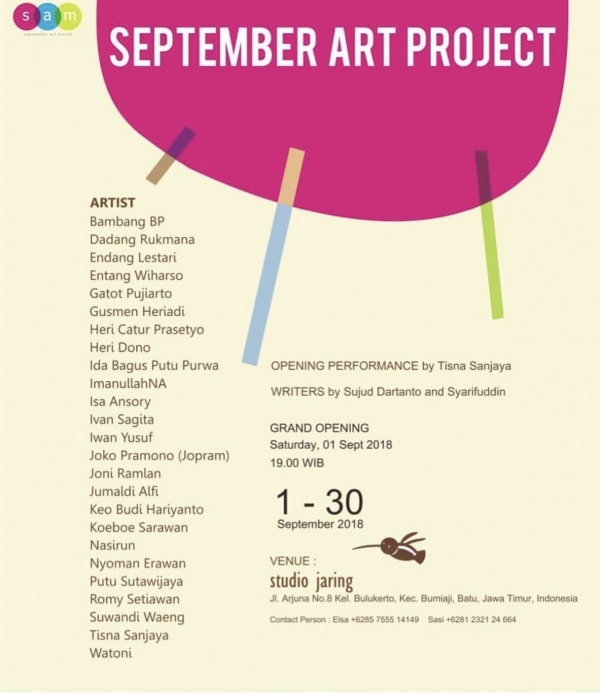 Jumaldi Alfi, Nasirun, Putu Sutawijaya, Tisna sanjaya are involved on this premier exhibition. 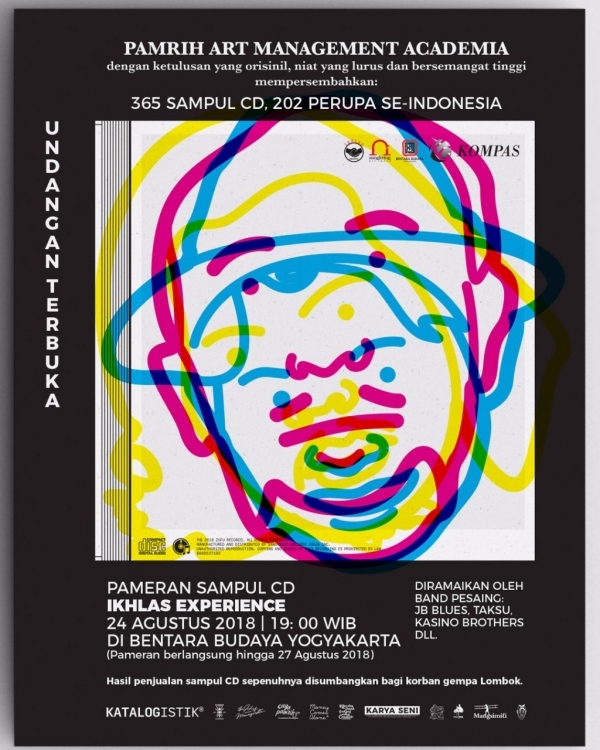 Tisna sanjaya will also have a performance during the opening on 1st September 2018 at 7:00pm. 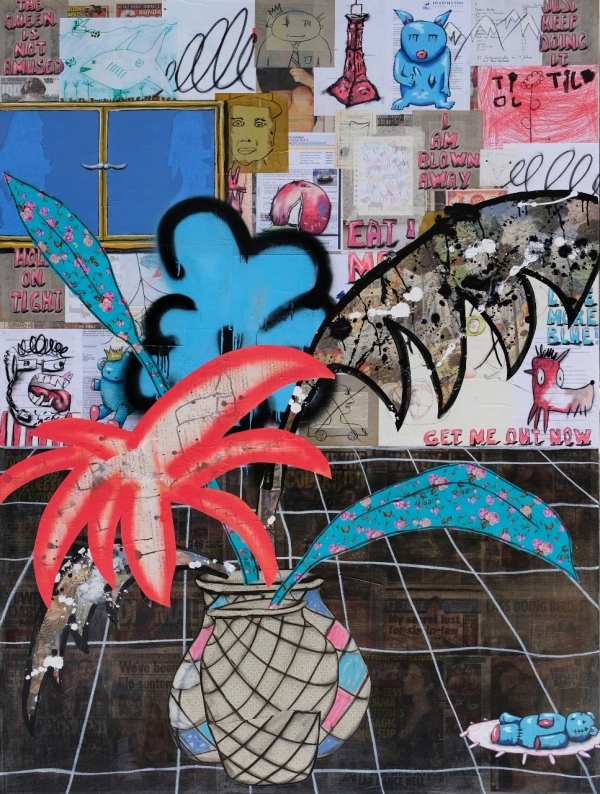 Tilo Kaiser will be solo-exhibiting at the Galerie Sight. 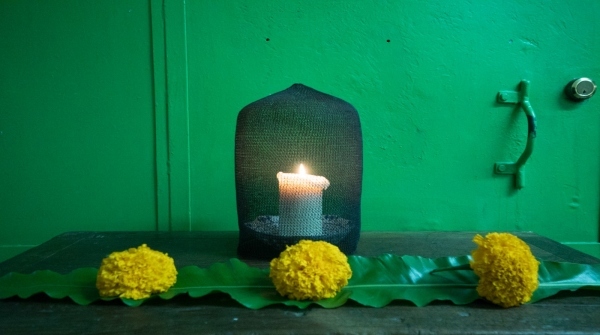 The full moon is an important day for every Balinese Hindu to show their gratitude for the God’s blessing. 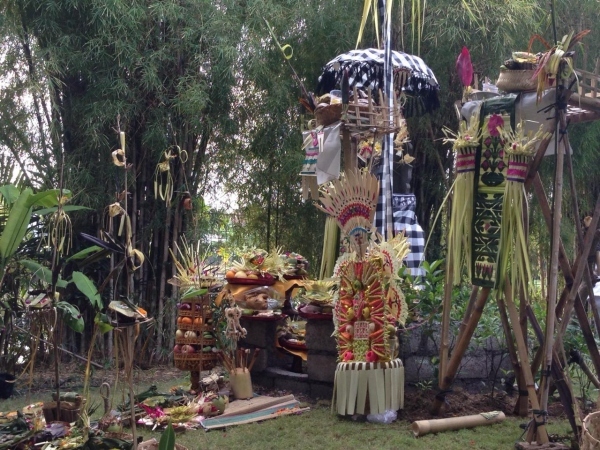 Villa Sin Sin’s two guardian temples will have their anniversary exactly on the 5th full moon on the Balinese calendar. 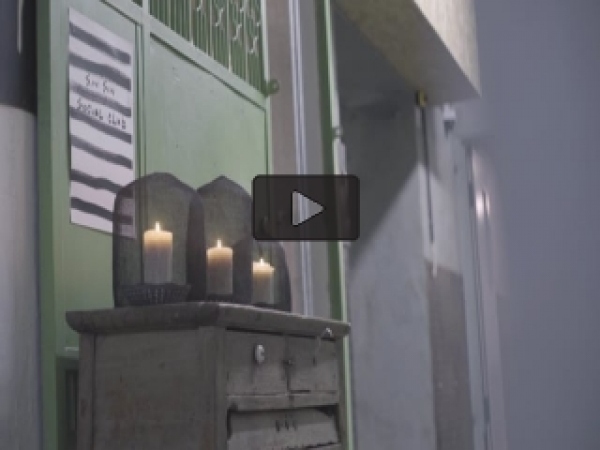 This ceremony happened every year for the life balance and harmony.